Zostavax is a shingles vaccine indicated for use in patients 50 and older. However, the presence of the live varicella zoster virus in the vaccine has actually caused some Zostavax patients to develop shingles. Zostavax is the only shingles vaccines approved for sale in the U.S. The vaccine was brought to market Merck & Co. in 2006, and was initially indicated for the prevention of shingles in patients aged 60 and over. In 2011, the U.S. Food & Drug Administration (FDA) approved Zostavax for the prevention of shingles in patients aged 50 and over. Zostavax contains a weakened version of the live varicella zoster virus. Exposure to this weakened virus is intended to stimulate the body’s immune response without actually causing shingles. Many people are exposed to the varicella zoster virus as children, when they develop chickenpox. Once a person has chickenpox, the virus remains dormant in their body for the rest of their life. Years later, the virus can reactivate, resulting in shingles. Merck & Co. claims that Zostavax reduces the risk of shingles by about 51%. But according to an article published by the Health Sciences Institute in January 2016, UCLA researchers recently found that only one in 175 people who get the vaccine were actually spared a shingles flare-up. According to the National Vaccine Information Center, shingles-containing vaccines were cited in 1, 141 reports made to the Vaccine Adverse Events Reporting System between 1990 and September 1, 2015. More than a 1/3 of those adverse events occurred in seniors 65-75 years of age. The reports included 90 deaths, with 40% of the deaths occurring in seniors over 70 years of age. 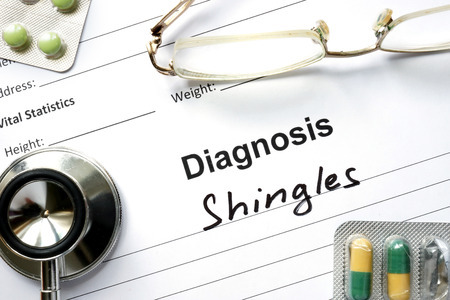 In August 2014, the Zostavax label was updated to include shingles as a possible side effect. In February 2016, the labeling was modified to indicate that Zostavax had been linked to reports of “Eye Disorders: necrotizing retinitis (patients on immunosuppressive therapy)”.